This coffee locale has been on my radar for some years now, as my first experience with it was over five years ago (it had different owners then). Back then I was less interested in coffee and more interested in entertainment; fun things to do on a Friday and Saturday night that didn't involve getting plastered. Treehouse was and still is today a good place for their open mics and live performances of different kinds. Over the years, I've seen a good share of interesting acts there, one that I oddly remember was a local artist named Sara O'Brien. On to the coffee, I can't say that I'm excited or disappointed. The coffee is La Colombe, which is a local Philly-roaster, and I share in the sentiment that it's reeeeally overhyped. If you go over to Philly, every stinking coffee establishment with few exceptions brews it. I can't say that I've ever had an amazing cup. Back to Treehouse, they only offer 1 blend of regular coffee (they call it house blend) as well as several flavored choices. Overall, I'd say the coffee is decent. Going to tea, I was a little stunned. They had Republic of Tea, an always welcome favorite, but they had every variety that I've ever seen. 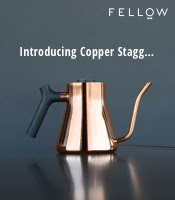 Good news for the tea-sipper. The epresso was also La Colombe and wasn't too bad. I recently had an americano which was pretty good, so I give it a similar review to the coffee. On the other hand, I did have a latte there once that was truly poor but I give them the benefit of the doubt and say that it was just a bad day for them. In conclusion, I definately recommend Treehouse, more for the stellar atmosphere and the entertainment but also for the coffee and tea. Plus, since it's located in up-and-coming Collingswood, there's a good deal of small boutiques and resturaunts to check out. They switched their brand of coffee to Crescent Moon Coffee Roasters, as well as added several other positive upgrades. The Treehouse is for sale! 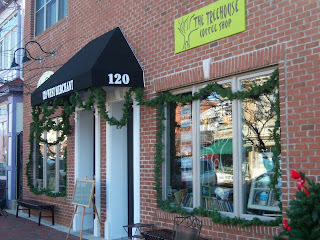 The Treehouse has moved from Collingswood to Audubon. The information has changed above and on the map to reflect it. Next time I'm in the area, I hope to stop by to see what the new digs are like and if anything has changed menu-wise. In going back through my posts, I noticed I never commented on the updated menu. The coffee is still Crescent Moon and the drip often displays a tremendous cup. The espresso is pulled fairly short and as of my last visit, the shots had a good mouthfeel with nice tones of bittersweet chocolate. Just thought I'd point out that the Treehouse moved from Collingswood to Audubon (about 5 minutes away) last month. 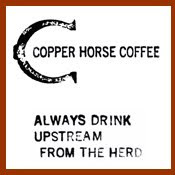 There's also a new coffee shop called Espressit down the street in Westmont that has great food...although I think their coffee is La Colombe, just to warn you. I enjoy your blog, by the way. To be honest, I don't even drink coffee, but as a work-at-home freelancer, it's helped me stake out quite a few good coffee shops in the South Jersey/Philly area for those times when I'm sick of staring at the walls in my house.